As I've mentioned here many times and in my books, I'm a big fan of the .22 rimfire when it comes to all around hunting and survival weapons. While there are many circumstances where other, more potent calibers are certainly needed, the lowly .22 rimfire does a good job as an all-around game getter and many experienced hunters and wilderness travelers would agree that if they could only have one gun, they might reach for their trusty .22, especially since so much ammunition can be carried in a small space. I've always been more of a rifleman than a handgunner myself, and most anyone would have better results putting meat on the table with an accurate long gun than a pistol or revolver, but if one of these two fine rimfire handguns were my own, I think I'd invest the time and effort into getting as proficient as possible with it. I might get better results with my 10/22 carbine, but I'd sure like to have either one of these in my bug out bag as well if I had to take off to the woods for an extended stay. My publisher recently received a large order for all three of my survival-related books from Costco Stores. Since these big chains are able to buy in volume, they negotiate for big discounts which they are able to pass along to the customer. Generally, Amazon has the best prices on most books, as they too buy and sell in volume, often making very small profits per copy. But if you live in an area where there are Costco locations and prefer to shop in person rather than online, you may get an even better deal. I don't know if every Costco store has these in stock, but I'm pleased to see them offered by the chain, as they have a limited selection of books to begin with. 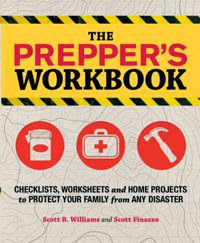 The fact that they chose to carry all three of these titles is evidence of the growing popularity of preparedness topics in general. I'd love to hear from you if you see these in stock in a Costco store near you. 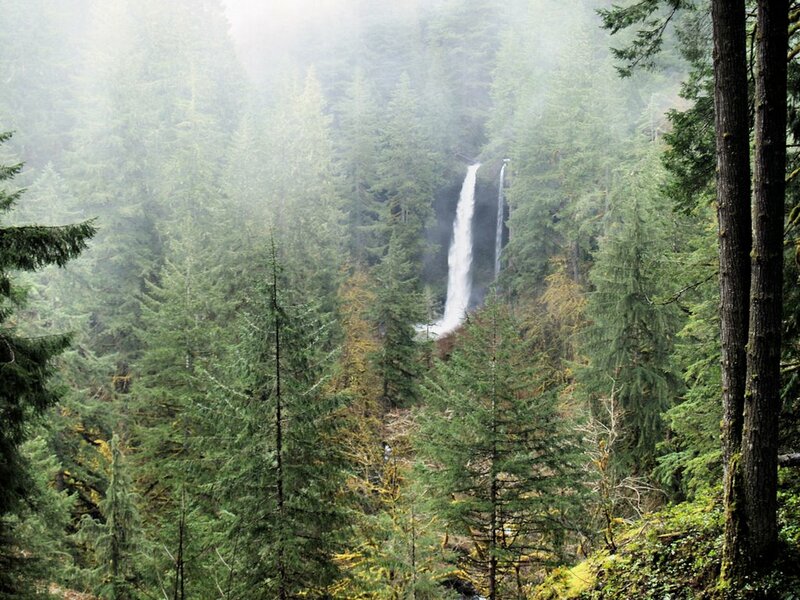 I just received several samples of a product I had not seen before that I think will be of great interest to preppers as well as adventure travelers needing a safe and reliable water source in questionable areas. A box of these samples was sent to me by the editor of Sea Kayaker magazine, a publication I've been contributing to on an occasional basis since they published an account of my solo Caribbean sea kayak journey back in 1990. I will be testing and reviewing this product for the magazine, so I can't publish the review here until after it appears in print, but I did want to share some photos and a link to the company website with you, and I'll post a link to the article here when it's available. The Hydration Technology Innovations HydroPack Water Filter is a self-hydrating drink pouch/emergency water filter that is claimed by the manufacturer to produce a refreshing drink while removing viruses, bacteria, cysts and parasites from the water. The small pouch on the left contains six individual packets that produce 12 fluid ounces each when hydrated. The larger package on the right is a 10-day water filtration system that weighs less than 5 pounds in your pack and is claimed to produce up to 8.5 gallons of safe drinking fluid in the field. This system, by Hydration Technology Innovations is in use by Marine, Air Force, Army and Special Ops personnel. 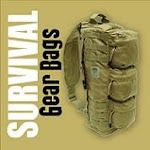 If it works as advertised, it could be a useful addition to the bug-out bag in many situations. These SeaPack self-hydrating pouches work like the HydroPak pouches for freshwater, but create a clean drink that contains electrolytes and other nutrients from seawater by removing up to 97% of the salt from the water. All this comes in a compact package that can easily fit in the storage compartments of a sea kayak or in a life raft or abandon ship bag, without the complication of an expensive reverse-osmosis pump system. I can't wait to see how it works. I plan to put all these units to the test in the coming weeks by seeking out the nastiest Mississippi swampwater I can find for the freshwater systems and heading south to the Gulf of Mexico for some salty seawater to sample with the desalination systems. If they work as advertised, I'll let you know here, and I'm sure I'll be adding some to my gear collection - especially the desalination units. One can never have too many back-ups when it comes to a freshwater drinking supply when venturing out to sea on small boats. Fast Escape Vehicle or Self-Contained Mobile Retreat? 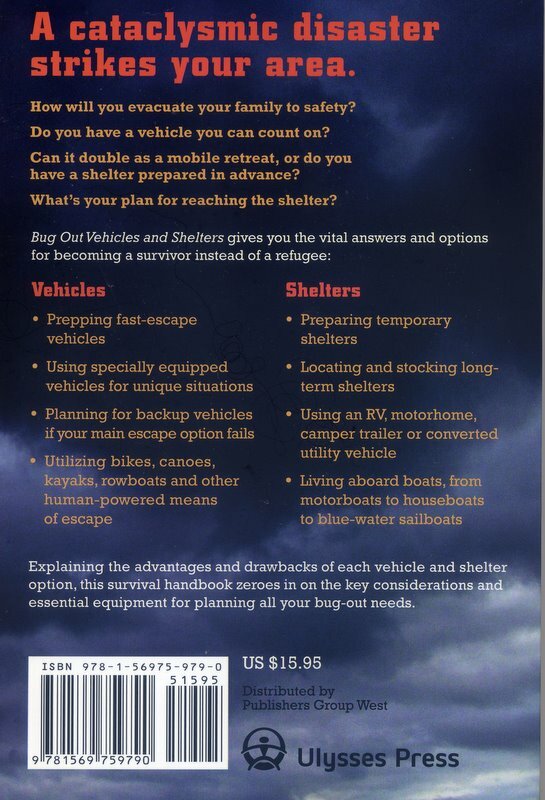 In deciding how to organize the information on various vehicles in Bug Out Vehicles and Shelters, I had to separate the various modes of transportation covered in the book into three major categories: Escape Vehicles, Mobile Retreats and Alternative or Back-up Vehicles. While any vehicle of any type could be classified as an "escape" vehicle because it could be used to make your escape in a bug-out situation, the primary difference as defined in the book is that for the most part an escape vehicle is the type of conveyance that will enable you to make a rapid exit from a danger zone, or perhaps reach your pre-planned bug-out location or retreat or even get home to your family if you are caught out away when the event happens. The generally means you won't be thinking of the vehicle itself as a shelter and won't be spending any time in it except for travel. If the situation calls for more than one day of travel, you'll likely be camping out of rather than inside of the vehicle, simply because it won't have accommodations or be set up for self-contained travel. Examples of escape vehicles include most passenger cars, pickups and SUVs - the sort of vehicle most people use for everyday transportation and already own. Other escape vehicles for overland travel on highways and roads include many types of motorcycles and escape vehicles for travel on the water include small powerboats and runabouts, as well as some classes of small sailboats and personal watercraft. 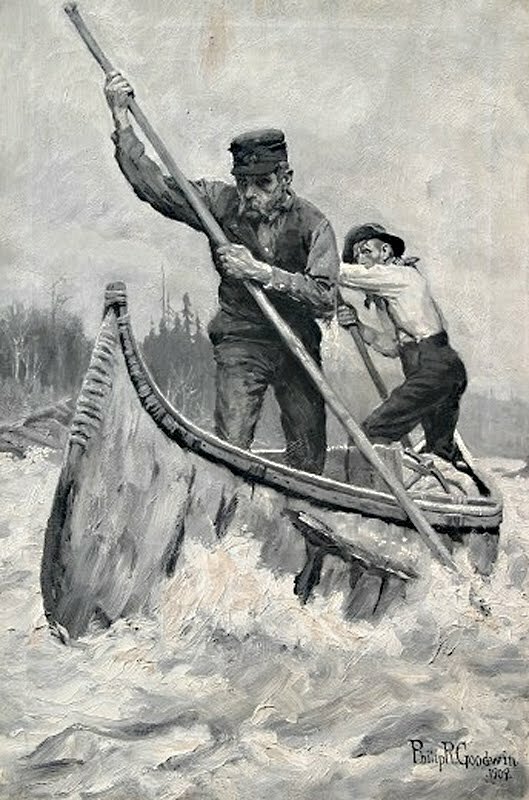 Those utilizing a fast escape vehicle to bug-out of a SHTF situation will likely be doing so specifically because they have planned their bug-out strategy around quickly reaching a specific bug-out location or prepared retreat, or in the worst case, because they were caught totally unprepared and have to quickly throw some gear and supplies into whatever vehicle they have and go. In either case, there are all sorts of contingencies to consider and anyone planning to bug out in a vehicle that cannot also double as a retreat shelter should have the basic gear and supplies they need to survive without the vehicle if for some reason it has to be abandoned. Mobile Retreats, on the other hand, can be defined as those vehicles which offer both transportation and shelter and can provide long-term support for you and your family both while you are on the move and after you reach a safer location. A key difference as opposed to escape vehicles is that you can live in them rather than relying on a tent or other temporary shelter. The ability to sleep inside the vehicle means that it can be set up for more comfort as well as more security, and you don't have to stop and unpack everything to set up camp and repack it to get on the move again. The smallest mobile retreats will have at least as much storage space as the largest escape vehicles, and the larger ones will have many times more. 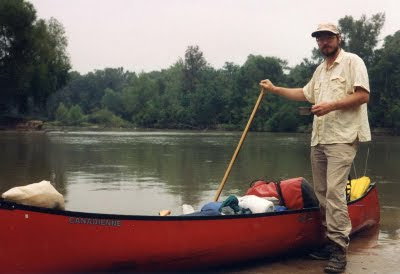 Some can carry everything you need for months of self-sufficient travel or living. Examples of mobile retreats covered in the book include a broad range of manufactured RVs from pop-up campers to motorhomes, DIY mobile retreats such as converted buses, house trucks and home-built camper trailers, and liveaboard boats, including motor and sailing cruisers and houseboats. Mobile retreats, like any other type of vehicle, can certainly have their drawbacks as well, and among these are the fact that larger vehicles will generally require more fuel, be more difficult to maneuver in evacuation traffic and will be more conspicuous and harder to conceal, which could attract unwanted attention and even attempts by those less prepared to take all the gear and supplies you are obviously carrying. 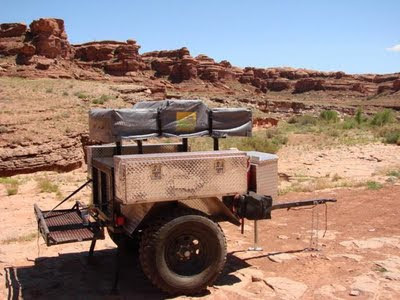 Deciding to utilize a mobile retreat as your bug-out vehicle will require careful planning and tailoring of the vehicle and its gear to your specific situation. The bottom line is that any sort of travel after the SHTF will present problems and challenges that have to be overcome and risks that have to be assessed and dealt with. But in some situations, mobility could be the key to survival. What kind of vehicle options are you considering? Do you lean more towards fast escape vehicles to Get Out of Dodge in a hurry, or do you plan to hit the road or waterways in a well-stocked mobile retreat and try to stay away from the danger zones for as long as it takes? 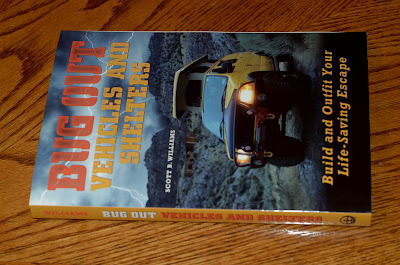 I just received the first proof copy of Bug Out Vehicles and Shelters from my publisher and I really like the job the design team at Ulysses Press did on this one. As with all these books, don't pay much attention to the cover price, because you can get it on Amazon for around ten bucks (currently $9.72 for pre-orders). I also discovered just yesterday that the Kindle edition of the book is available now, for those who don't want to wait or prefer their books in electronic format. 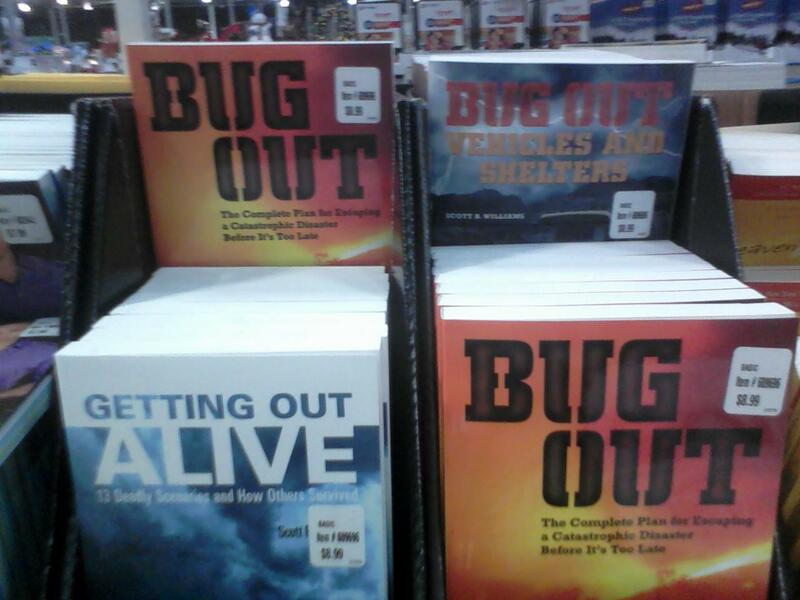 Here's the link: Bug Out Vehicles and Shelters (Kindle Edition). As an author, it's always exciting to see an idea transformed into a finished book you can hold in your hands and share with others. That feeling is tempered for me this time by a great sadness, as I lost my father just a month ago today. He was my best friend, my greatest teacher and a constant source of encouragement and inspiration in my writing and everything else I do. His childhood years were spent right in the worst of the Great Depression and he grew up on a self-sufficient farm using the survival skills many of us aspire to learn on an everyday basis as a way of life. He left the farm at 17 years old to join the Navy at the tail end of WWII, and from his job as a radar technician aboard the light cruiser Astoria, he began his career as a radio communications technician. In my childhood years he taught me how to handle guns, how to hunt, how to fish, how to be at home in the woods and how to work the land. Most importantly, he taught me how to work in general and that no job was beneath me or too menial. He also taught by example in the way he always selflessly put his family first and in how well he single-handedly cared for my bed-ridden mom in the many years of her illness until her death from Multiple Sclerosis. In his last years in his eighties, he loved reading the rough drafts of my chapters as I printed them and frequently caught my errors and typos. He was looking forward to the release of this latest book and was particularly proud that I recently signed a contract for my first novel. I am missing him more than words can describe, but as I reorganize and adjust to life without him, I hope to get back to posting here on a more frequent basis. 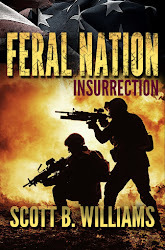 "A Cataclysmic Natural or Manmade Disaster Has Struck Your Town or City. How will you evacuate your family to safety? Do you have a vehicle or alternate means of transportation you can rely on? 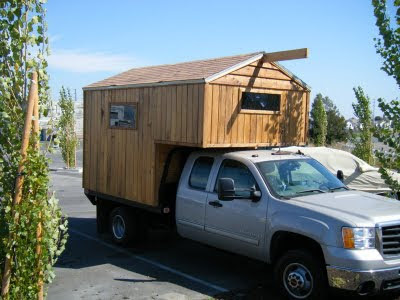 Can the vehicle double as a mobile retreat, or do you have a retreat shelter prepared in advance and a plan to reach it? Bug Out Vehicles and Shelters presents a wide variety of transportation options ranging from fast escape vehicles to self-contained mobile retreats. Back-up vehicles that can keep going if your main option fails and alternative vehicles for a variety of challenging situations are also examined. Temporary and long-term retreat shelters that you can set up in advance and stock with supplies are also included as part of a bug out plan that can make you a prepared survivor instead of a refugee. 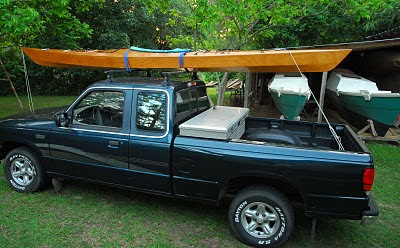 Vehicle types included here range from the kinds of cars, pickups and SUVs most people use for everyday transportation to alternative options like motorcycles, powerboats, sailboats, ATVs, and snowmobiles, as well as human powered vehicles such as bicycles, canoes, sea kayaks and rowing craft. 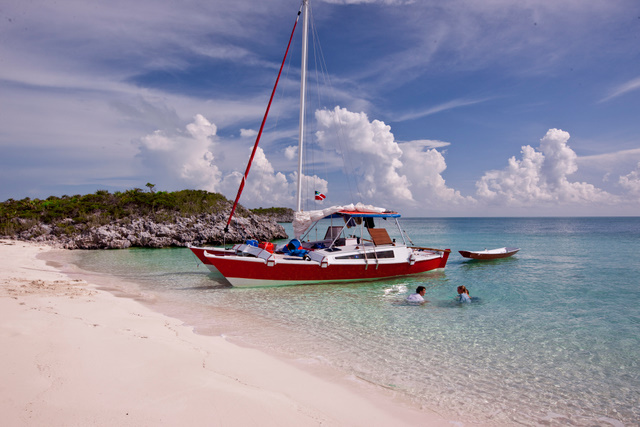 Mobile retreat options include manufactured RV trailers and motorhomes, Do-It-Yourself house trucks, camper trailers and utility vehicle conversions, and of course, liveaboard boats from motor cruisers to houseboats and bluewater sailboats. 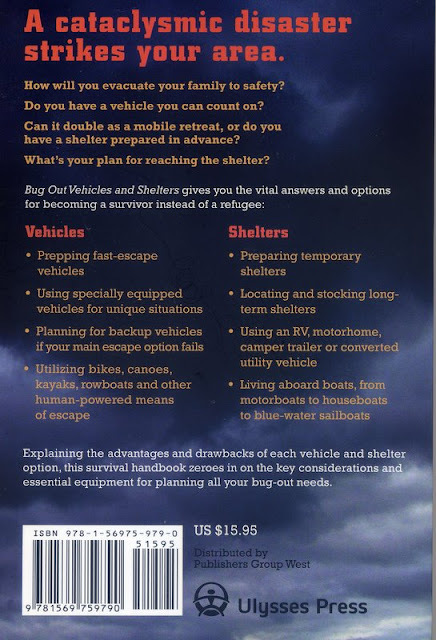 Each vehicle and shelter type is examined with regard to the advantages and disadvantages it offers, followed by a number of key considerations and lists of essential equipment to help you chose and optimize it for your bug out needs." 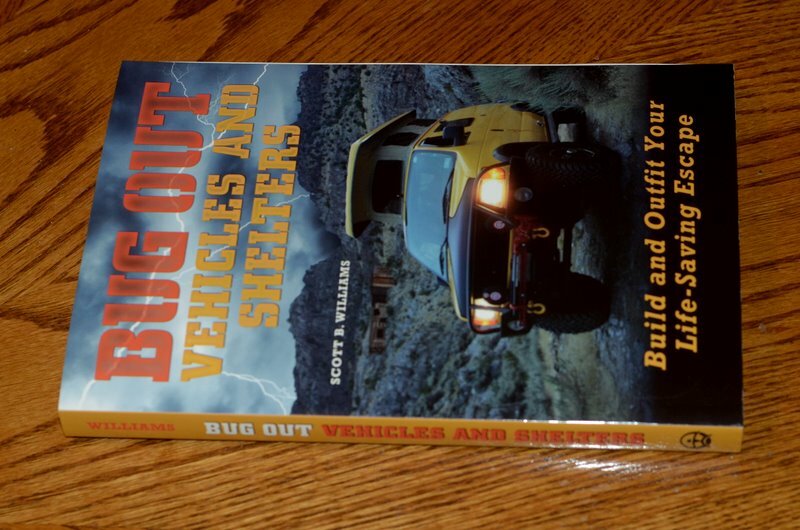 I finished the actual writing of the new book, Bug Out Vehicles and Shelters last Friday and it is now in the hands of the editors and soon to go into production for a planned release in September. This book covers a lot of ground, which is why it took awhile to put together. 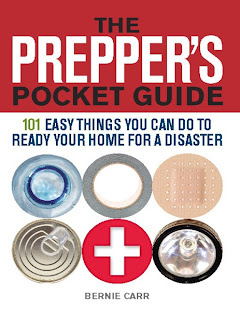 There are nine chapters on specific categories of vehicles and two chapters on fixed shelters that could be assembled or built in place at the bug-out location in advance. The book is divided into four parts: Escape Vehicles, Mobile Retreats, Alternative and Back-up Vehicles, and Fixed Retreats. Some of the categories covered in the first three parts are illustrated in these photos, and while a few pictures may not be worth 78,000 words, they might give you an idea of what to expect. 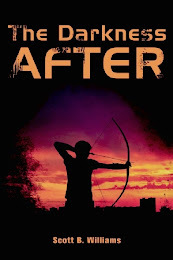 I'll post more specific details on the content of the book closer to the publication date. Meanwhile, I'm going to be hard at work on the next book project, which is a work of survival/apocalyptic fiction. 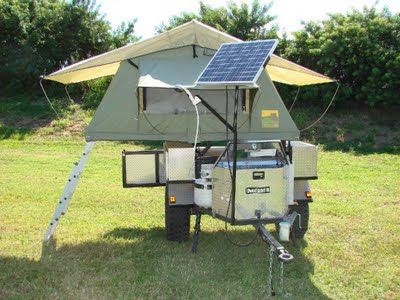 "This model is our "4x4 Tent Trailer", they are built to handle extreme off road abuse. The axles are heavy duty and have a 3000 pound rating. With 33-35-37 inch tires, with a dry weight of less than 900 pounds, and a storage capacity of over 43 cubic feet, it will transport all of your gear with ease to your off road destination."